There will be no further inquiries into the controversial death of Fr Niall Molloy, following an independent examination of the garda investigation. His family said they were "deeply disappointed" following the report by Dominic McGinn SC. He was appointed by the Government to take a fresh look at the garda review of the investigation following articles by journalist Gemma O'Doherty. Last night, the McGinn report recommended that another inquiry would not be warranted. It concluded that some of the concerns expressed about the garda investigation were not supported by the evidence. "We're deeply disappointed that an inquiry has been ruled out," said Fr Molloy's nephew Bill Maher. "As far as the family is concerned, it doesn't stop here. If we can, and we have to, we will go to Europe, if we have to go down that road." Fr Molloy's body was found in the home of Richard and Theresa Flynn at Kilcoursey House, Clara, Co Offaly, on July 8, 1985. A garda file was sent to the DPP and Mr Flynn was charged with manslaughter and assault. But at his trial, the jury was directed to find him not guilty. Other allegations that surfaced since then have resulted in a major controversy surrounding the death. Justice Minister Frances Fitzgerald said she accepted his recommendation - while fully appreciating that it would cause disappointment for Fr Molloy's family and campaigners. She hoped they would accept that every effort was made to answer as many questions as possible. Garda Commissioner Noirin O'Sullivan said she hoped the report would bring some comfort to Fr Molloy's family and it had also vindicated some of the work of the garda review team. The report sets out some shortcomings in the original garda investigation - while acknowledging the precise events surrounding the priest's death could not now be ascertained. One of the unanswered questions is the precise time at which Fr Molloy sustained his injuries. Another question mark lies over the significant delay in calling the authorities. The calm attitude of Richard Flynn when the gardaí arrived was a feature of the case which many would find inexplicable, said Mr McGinn. But without knowing more about Mr Flynn's usual demeanour, it was impossible to say if this was out of character. In light of Richard Flynn admitting he struck Fr Molloy, the directed acquittal at his trial was extraordinary, Mr McGinn found. While much criticism had been directed at the trial judge, Frank Roe, the report said the decision might have been partly attributable to the concessions made by State Pathologist Dr John Harbison under cross-examination. Mr McGinn said it was clear that the Flynn family enjoyed friendships with people involved in politics, some of them at the highest level. But there was no evidence to substantiate a contention that these were used to their advantage. 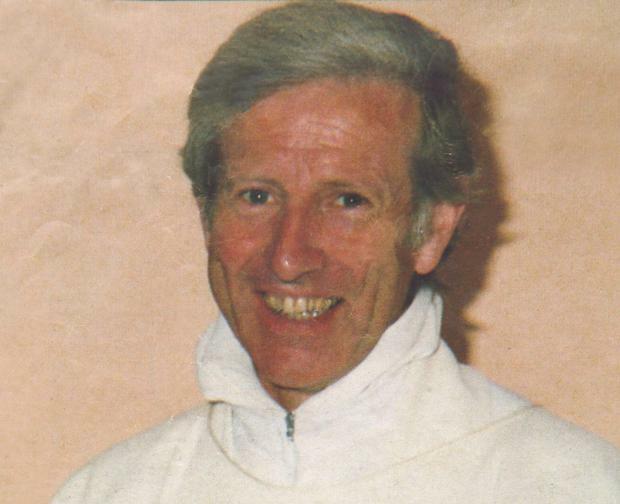 July 1985: The popular Roscommon priest was found beaten to death in the Offaly mansion of his socialite friends Theresa and Richard Flynn, the day after their daughter's wedding. The post-mortem concluded that the 52-year-old cleric had been punched and kicked in the head several times. June 1986: Richard Flynn goes on trial before Mr Justice Frank Roe in Dublin's Circuit Criminal Court, charged with the manslaughter and assault of his friend of 28 years. He had admitted to hitting the priest at least twice in the marital bedroom of Kilcoursey House during a 'stupid row' over drink. Professor John Harbison told the court Fr Molloy had suffered several blows but admitted Fr Molloy had a heart condition. So just three-and-a-half hours into the trial Justice Roe - a friend of the dead man and accused - told the jury to throw the case out. "No-one intended any injury to be caused," he said. 1986: Richard and Theresa Flynn both took the stand during the inquest but Richard Flynn couldn't remember anything that happened after he had struck the priest and Theresa Flynn remembered nothing of a fight. The jury deliberated for just 13 minutes before coming back with the verdict that found the priest died as a result of head injuries. 1987: Criminal Martin Cahill steals 144 Garda files, including that on Fr Molloy. 1994: Cahill leaks file to journalist Veronica Guerin showing that Justice Roe had said he had known the Flynns and the priest socially. 2012: Cold case gardaí conclude there is no evidence to warrant charges.